The Scoop: Reputation is one of the most important elements businesses and brands need to consider whether it is offline or online. Here’s how you handle reputation management using SEO. For a brand, business or company, reputation is very essential. This makes people decide whether or not they will do business with you or not. Therefore, it is needed that you can get a good reputation to make people trust you with their business dealings. Search Engine Optimization or SEO is more than just improving your rankings on the search results and getting the right people to connect with you. You can also use it for your reputation management. And here’s how you can enhance how you handle your reputation management. Content is what drives customers to your door. It is a foolproof way to advertise your marketing that doesn’t come off as too salesy. By associating your business with quality content, people will be able to see that you are trustworthy. You can do this by delivering content relating to your business and expertise. Be sure that you also give a little something for your readers such as helpful tips or lessons from your experiences. This shows that you are expert enough to know what you are doing and that they are in good hands. Keywords still matter. As mentioned before, the right keywords will drive the right people to your site. This will leave increased engagement. Furthermore, the information is read by people that are interested in the subject. However, not all people interested in the subject are on the same level as you. If you consider the technical and jargon terms of your trade, potential customers who matter won’t be able to find your site. Therefore, it is best that you think like a customer and build keywords they would search. Doing SEO is not easy unless it’s just the basics. However, if you are targeting advanced SEO for your reputation, you don’t have to worry and wonder what you will do next. Don’t be afraid to ask for help. Managing a business is already a handful and adding some high-level SEO to the mix will be too much to handle. Who knows that you will even make your situation worse by doing those advance SEO on your own. Just like keywords, links are also one of the signals that make Google decide if your site is trustworthy or not. If your site is reputable in Google’s proverbial eyes, the search engine is more likely to recommend your site to potential customers. This is done by giving your site a high rank when users search for keywords relating to your site. Make this happen by building links and citation from trustworthy sites such as Yelp, Google My Business, and more. However, when building links, make sure that you follow Google’s guidelines. If you don’t follow the guidelines, you are liable to be penalized by Google and it will damage your reputation. Trends are what influences people to buy a particular product or engage in a specific activity. By joining in with the trends, you will be able to know what people are looking for in a business like yours. You will be able to provide their needs and that makes up for happy customers. Happy customers, happy reputation. By establishing quickly in a niche by being one of the first businesses to address a trend, you are making your known companies. Not only that, this also shows your customers that you are active in the marketing community, adding more points for you. 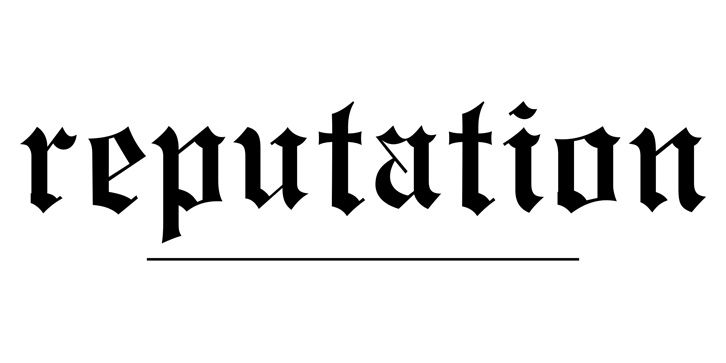 Are You Ready to Build Your Reputation? Know that building a reputation takes time. You don’t get a quick result at a snap of a finger. Be patient and slowly but surely build a connection between your business and customers. However, there are plenty of tips and tricks that you can apply to boost your reputation management online. Research, learn and utilize what you know to further improve your progress. For more digital marketing feeds, check us out! Pre-Load Ready: Final Fantasy XV is Hitting PC Soon!